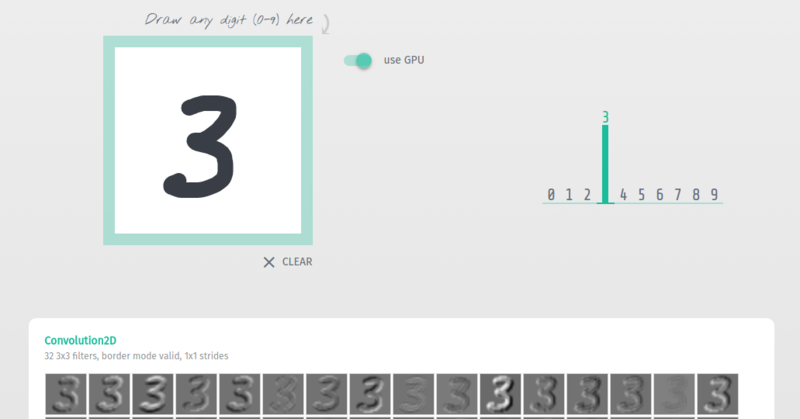 Run Keras models in the browser, with GPU support provided by WebGL 2. Models can be run in Node.js as well, but only in CPU mode. Because Keras abstracts away a number of frameworks as backends, the models can be trained in any backend, including TensorFlow, CNTK, etc. Check out the demos/ directory for real examples running Keras.js in VueJS.